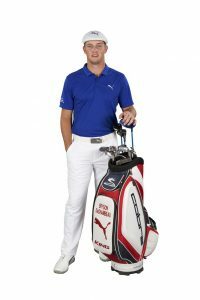 DeChambeau, who has also said he will putt with the flagstick in the cup based on the new rules modernization for 2019, has emerged as a proven winner on the PGA Tour, which lends credibility to the “one-length” irons concept. Since turning professional in 2016, he has won five times and collected winnings just shy of $12-million. Mark Lindsay is a PGA of BC professional involved with sales and distribution of the Cobra equipment brand across British Columbia. “We’re the only major manufacturer building one-length shafted irons,” Lindsay told BCgolfguide. Based in the Okanagan region, he has been playing the “one-length” irons for a couple of years now. BCgolfguide partners across the province are also making the brand available to supporters of their facilities. According to Lindsay, the Kelowna Golf and Country Club, along with Sunset Ranch have been Cobra Golf supporters. The Kamloops Golf and Country Club, as well as The Rise Golf Club in Vernon and Shuswap Lake Estates are also supportive of the Cobra brand. When Mother Nature begins to cooperate with Okanagan Valley golfers this spring, BCgolfguide will work with Lindsay and experiment with the “one length” irons. We’ll be the guinea pigs, so to speak, and report our findings at Fairways & Greens or our regular BCgolfguide newsletter communique. Previous PostPrevious Rules of Golf “Modernization” is here!